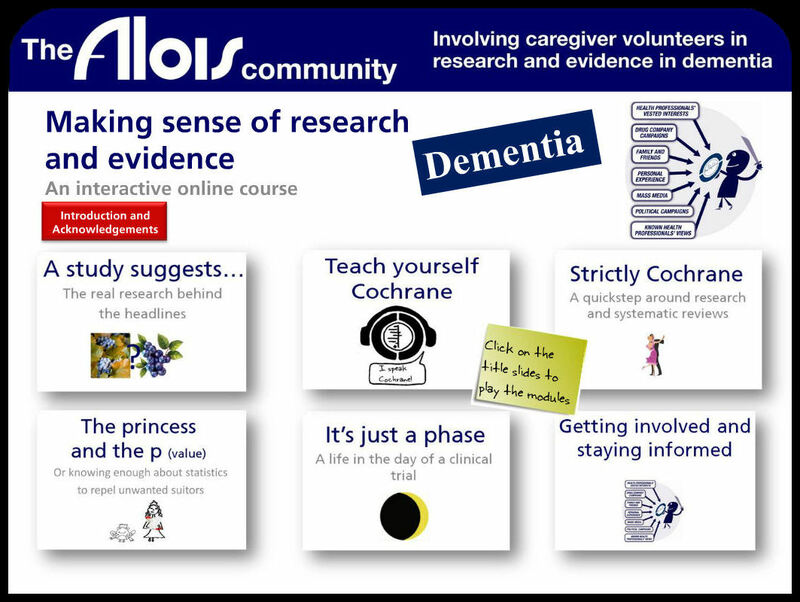 This interactive resource provided by the dementia research-related group ALOIS is a very user-friendly interface offering students a basic understanding of how to assess research and evidence. Six videos available on the site include the basics regarding statistics, clinical trials and systematic reviews. Although specific to dementia, the principles discussed are applicable to the wider community. Editor’s note (August 2018). The link to the ALOIS Modules is not currently available. In the meantime, have a look at the resources available at Cochrane Training: https://training.cochrane.org/. the link is broke, is this resource still available? Hi Joanna – sorry that the link is not currently working. In the meantime, if you refer to the main Cochrane Training website here: https://training.cochrane.org/, there are lots of resources including a free online module “Introduction to Systematic Reviews”. I will post the new link on here as soon as it has been fixed! Thank you for letting me know. Best wishes, Emma.